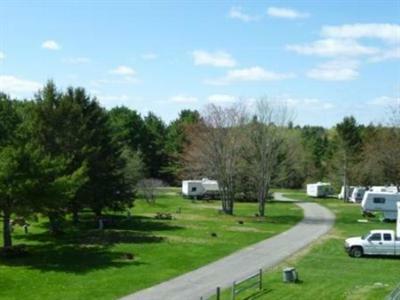 Whether you're on your way to the Maine coast, Acadia National Park or Canada, or just want a great place to enjoy the outdoors, Pleasant Hill Campground has what you're looking for. The camp lives up to its name with lush green grass, lovely shade trees and first-rate amenities. It's conveniently located off I-95 in Hermon, just minutes away from golf courses, shopping, colleges and downtown Bangor. Plan your vacation today using the easy online reservation system. 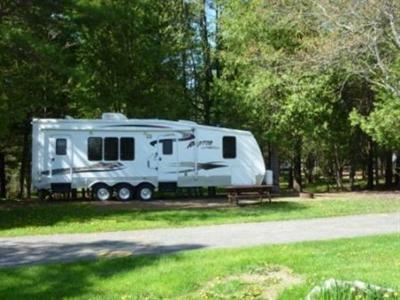 RV sites are designed for comfort and easy access. Large pull-through sites, wide sites for RVs with slide outs and paved roads all make it easy to set up quickly. Full hookups with 30 and 50 amp, Wi-Fi and cable TV are all available. If you'd like to test drive a trailer before making a big investment, you can rent one. A 24-foot Coachman is perfect for a couple, while the 26- and 28-foot vehicles will fit families with small children. Tent campers are welcome too. If you're organizing a special event, take advantage of the private group area. 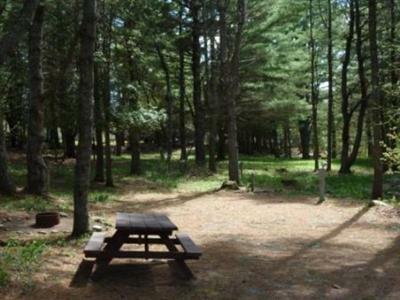 It includes camping and campfire areas and a pavilion with picnic tables and a large grill. Children will get a kick out of the stocked trout pond, as well as the playground and miniature golf. 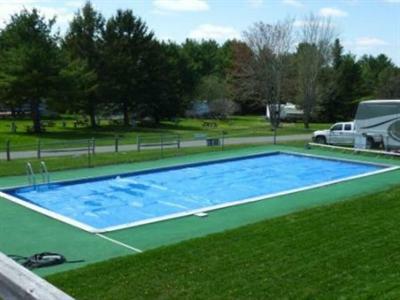 The heated swimming pool is a refreshing way to relax, and everyone can join in for games of volleyball and horseshoes. Get into the spirit of fun with Christmas in July and Halloween in August activities at the park. Dig into a cold treat at the ice cream social and keep your eyes open for a scavenger hunt. When the Bangor State Fair sets up in the summer, you'll catch the aroma of deep-fried goodies and the dazzling colors of spinning carnival rides, just a short distance from Pleasant Hill Campground. Maine is known for its spectacular scenery, rugged coast and inland mountains, lakes and streams. Take the drive to see Acadia National Park, where the 20-mile Park Loop Road offers breathtaking views of ocean, mountains, and forests. Moosehead Lake draws those who like to fish, hike, kayak, canoe, climb and ski. Gaze in awe at Maine's tallest peak, Mt. Katahdin, in Baxter State Park. The city of Bangor is a music lover's dream, as well as a great outdoor sports destination. The waterfront hosts popular acts, and the American Folk Festival, a three-day cultural event at the end of August, brings together dance and music from across the country.